Primary features in new iPhone 7/ iPhone 8 series camera quality and Technology that meet your DSLR camera use. In that some favorite and fantastic camera mode big update for photography lovers. I’m one of them, so I try to give the humble suggestion for those who have an old iPhone model and want a different effect. I am talking about Depth Effect/ Blur effect, Brightness or Sharpness. Here’s the best iPhone app for Depth effect in free or Pro money value app all time for who don’t have iPhone 7 or Dual lens iPhone 7 Plus, iPhone 8 Plus, iPhone XS Max, XS, XR, and iPhone X. But here you need to select object portion that’s you want to highlight or made apart from that is in Depth or Blur. Focos App has amazing new Features that we can use from a single apple. The best-Rated app on Apple App Store makes you satisfied for the Free and Pro Version to use for Photography. 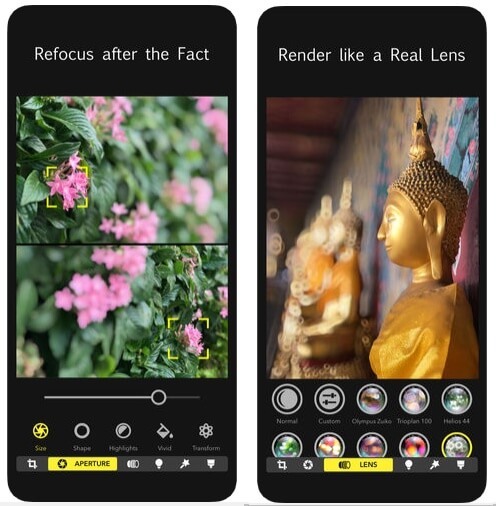 This app allows you to change or use settings like Large aperture cameras, 3D Space, Dual Camera iPhone, Bokeh effects, Focus on the object, Multiple lights, and shades. Fully featured with new tools that’s make your photo like capture in iPhone 7, 7 Plus, iPhone 8, 8 Plus, iPhone X. Favorite gadgets are Smart Focus system, Aperture control, Filter effects, Instant changes preview (Before – After). That’s help to make the change in color balance, Saturation, and Contrast. Custom settings and the combination of different pattern make your Photo unique and remarkable. Make a beautiful photo from simple photo captured by your iPhone. Align Focus area and get the perfect result instantly on screen. Depth perfection by highlighting your primary object that’s are rear or front side position. Premium features easy to use with some helping guide. Let’s Make your iPhone photography at another top level. 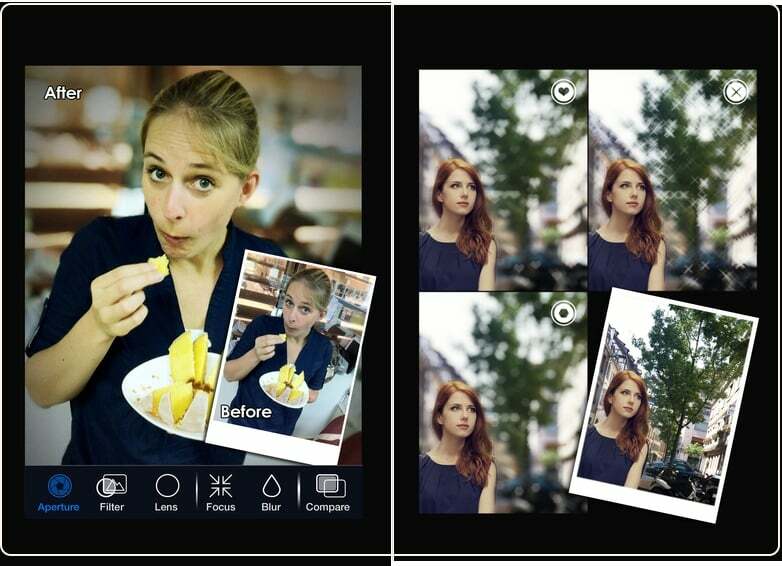 Access all files from the camera app to Snapseed and Make an instant change in free. Make perfect any photo fast with most popular tools like Glamour glow, Vintage, Face, Frames, HDR Scape, Set Text, Rotate, Crop, and Amazing Lens Blur. Make your background soft by blur portion of the image from different angle or part. Filterstorm is Great image masking app for edit image. Combine multiple features, and the result is incredible. Know Full 100+ features. 6. Camera+ Make your camera with more standard features and Improve in Digital zoom up to 6x, Clarity, Effects, Sharing, Crops, Borders. 7. 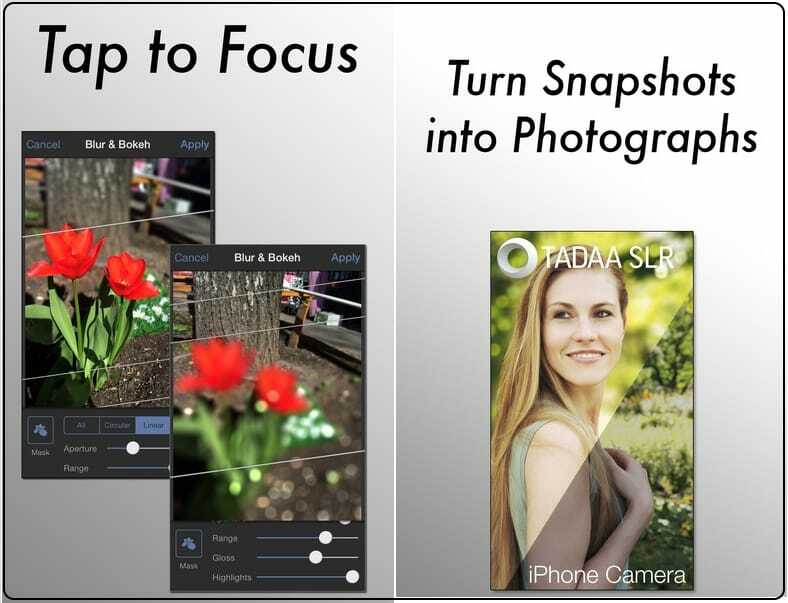 Bokeh Photo Editor In just a few seconds changes your look and emotions without making the change in original face or Body gesture. Put different effect around an object. 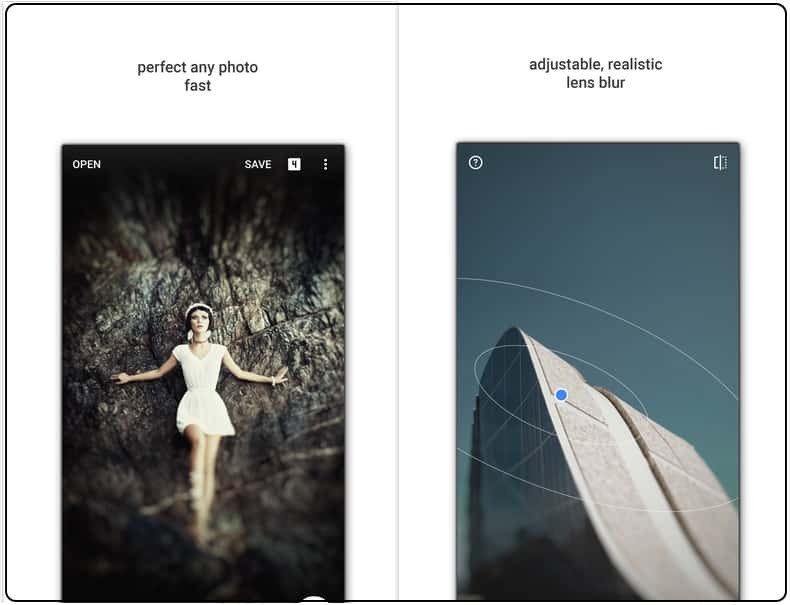 and More….Other useful iPhone app for Depth effect or Blur effect – Microsoft Pix Camera, Fotocam Bokeh Pro, and Afterlight.